When all the necessary adjustments and settings are all set, it’s time to see your document printed on the paper. Document printing in Microsoft Word is easy, hitting a keyboard shortcut CTRL+P will take you right away on the print page. If printer already setup up on your computer, there’s a green check on the printer that are attached. There is a difference when you are using Word 2007 and Word 2010 or later version. 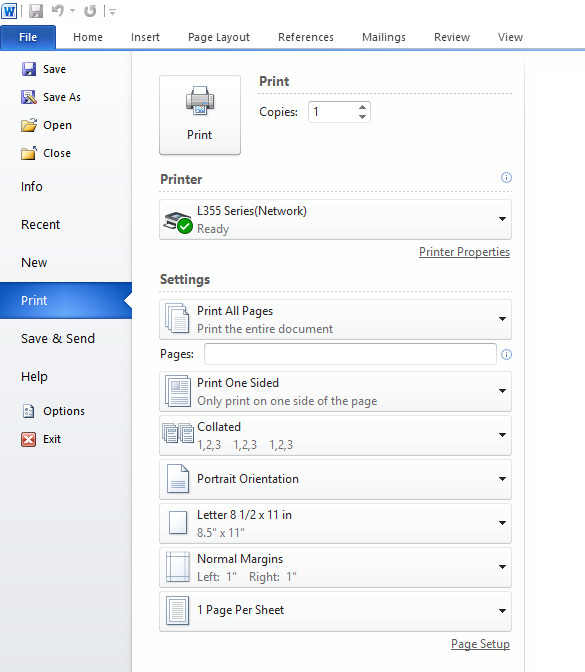 When you perform CTRL+P in Microsoft Word 2007, you will arrive at the Print pop up window where you can set how copies you want or what page you want to print if you have more than 1 page in the document. Click OK to start printing. 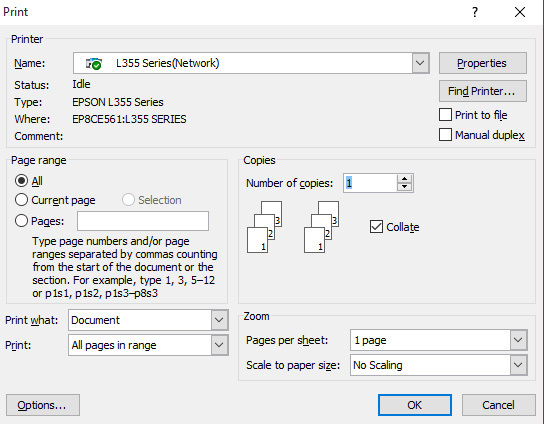 Microsoft Word 2010 has a different interface to the previous version Word 2007 although the controls and settings are almost the same from setting the number of copies and the page that you want to print, only the position of the controls is changed.